Fundraiser by Cindy Bowen Mitchell : Love Army for Vieques! Our tiny island was devastated by Hurricane Maria. Many of my island friends and neighbors have lost nearly everything. Over 4 months since 9/20/2017, with no electricity. Can you even imagine life without power for over 4 months!?? Yes we have Work being done on restoring power lines, but real electricity is months away. Many of our island neighbors still struggle daily with their basic needs and rebuilding supplies are very expensive! We need major assistance to help people put their homes back together! Insurance companies (for those who could afford it) are bailing on Vieques and PR. We need to get homes repaired! 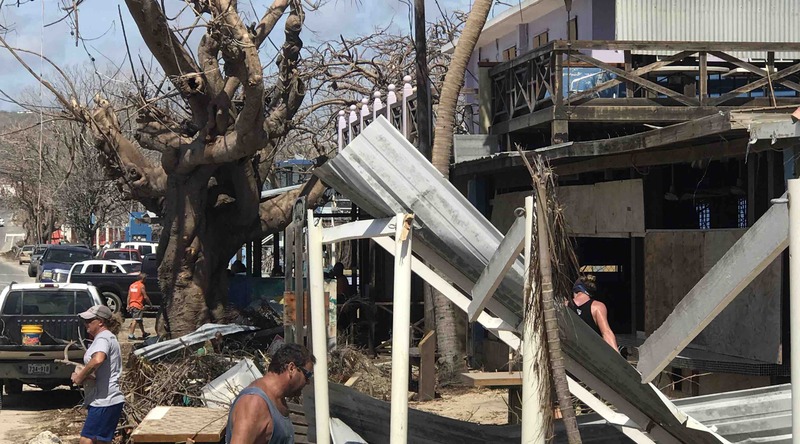 I am am asking for your help- large or small-contributions are needed you cannot imagine how difficult life is in Vieques for everyone at this moment. Thanks for your donations! 100% of every dollar raised goes to people on Vieques for much needed supplies and assistance! Folks it is over 4 months without electricity here. Can you even imagine?!?!?! It will be months before real electricity is restored. There are people working on restoring power lines and that is fantastic! People need help putting their homes and lives back together now! Rebuilding supplies are expensive! We need your help to help people here fix their homes and their lives! 100% of every dollar raised goes to help people on Vieques! We have done some amazing work thanks to the generous support of Family and friends! Every dollar has made a difference in someone’s life here on Vieques! We have distributed life saving water filters, assisted families reach much needed supplies and help support those who are literally starting over from scratch. We have made sure to most importantly help each person maintain dignity which is much deserved after the tragedy we lived through. Please think of us as we continue helping those here rebuild as we start 2018! Please think of us as we continue helping those here rebuild at Christmas!